Loving Temps in the 60's! Lots to see and do in Hilton Head, SC even in the winter. The beach inspires and rejuvenates, no matter the time of year. Although there was work to do on this trip, there was also some time to relax. I met up with some very cool gals at South Beach Marina who manage some of those Salty Dog shoppes. Some fabulous simply pretty vintage style creations will be going south to grace display cases in a upscale shoppe called Ellie's! 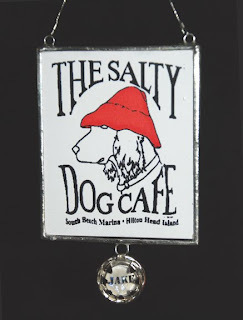 As for for Jake........The special ornament I created now has a special home with the Salty Dog family. A happy ending there. Hoping to send a few more to keep that one company. How could anyone not want a little Jake sparkle for Christmas? I will be posting a little more info about Ellie's after I get back into that northern (burr.....) studio for some serious creating!! 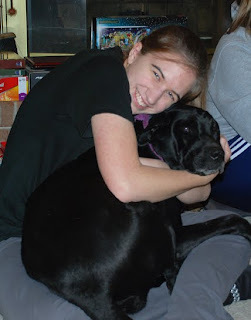 ...and Neice Steph has a salty dog of her own named Blossom ! On the road again, this time to South Carolina in search of Jake! 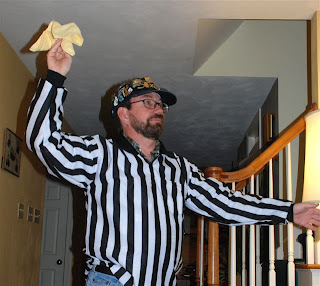 This fabulous idea was inspired by Mike (seen in a recent blog... officiating) and in a few blinks, we were on our way, dodging ice storms and the like along the way. Everyone is anxious to shake the winter blahs now and looking for some balmy weather. One of Mike's popular hangouts in South Beach Marina, South Carolina, is The Salty Dog Cafe. There is a legend born there, about a dog, a dog named Jake. His mug has become a heroic icon on many a tee shirt and cap. So, down jackets and flannel pants aside, we search for warmth....and a little piece of Jake. In celebration of Jake's memory, I designed my latest, Christmas Jake on an ornament, that I will be delivering to that Salty Dog crew. Simply Pretty. Now, where did I pack that sunscreen? Chase away your own winter blahs by taking a moment or two to discover more fun on my web site this week! This was the weekend dedicated to family back in the Pittsburgh area of Pennsylvania. We traveled the usual Rte 30 and took the PA turnpike for part of the way. Its been the route taken for the past 20 plus years anyway, but there is always something that strikes me as different or new along each time we make the trek. First stop was to Cranberry Township, where my sis and I took my mom out for a fun girl's day. We ended up at the very new Giant Eagle Market in downtown Pittsburgh, as my mom loves to grocery shop! The place sort of reminded my of a Whole Foods Store or a super duper style Wegmans. They grow some of their own produce right in the store and there are fabulous handmade candies and Mmmm, the sorbet, to name a few of the things we sampled while shopping. Notice the bacon package in the cart. Ah, one of life's staples for this side of the family. The next stop was in Ligonier, PA for a visit with Greg's family. Football is on! There was plenty of great food as it was Mike's official birthday weekend....arh arh arh. and the official cook who supplied the feast? 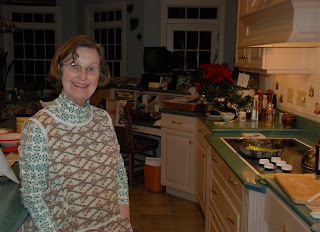 Sista Carol Novak had a birthday right in the middle of all the hyperactivity of Christmas time. So............what a wonderful opportunity (finally) get the chance to celebrate during a cold and boring January by having a tea party in her honor!! Here are some tea time pictures. It was a fun day out and a change of pace from our hectic schedules. Long live the art of TEA and Sista Carol! I packaged up all of my precious StoryPeople ornaments this morning....sigh. These were definitely three of my most favorite ones. I will have finished all the customer orders by the end of the week. I hope everyone loved them just as much I enjoyed making them! They are no longer available to order, but my charm necklaces can still be found on their site! A special thanks to Greg for posting the snow code onto my blog. Cool eh? In the process of taking care of our foster kitty, I had discovered that the once no kill shelters we had visited in the past were upon hard times. With less funding and less families wanting to adopt pets, they are now forced to turn away animals or euthanize those who can not be adopted. To help raise funds, I have decided to donate proceeds to the ASPCA for any custom pet ornaments that I design and sell. I will periodically update this effort here on my blog. This purrrfect little girl came to our back door before Thanksgiving. She sat and meowed and wanted so much to come inside. As it became colder and the storms were upon us, we eventually let her inside for warmth and shelter. Of course, this was not popular with our resident cats...nope. She was a sweetie though, so we took her to The Clearview Animal Hospital to see our veterinarians who work very hard at keeping s all healthy. She had a good check up and was already found to be....spade!! This was good news. Well, after a few weeks of fostering this most affectionate girl, we found a very loving family for her. My brother~in~law Curt and his wife, Sue, welcomed her into their home down in Mt Airy, MD. Stephanie and Andrew, my neice and nephew, were eager to set her up there. Steph named her Torii. What a happy ending. Welcome home Torii!! Just putting away the decorations and putting to rest those tempting thoughts of wearing my prized Ruby Red Slippers again for another year. Indeed, simply pretty! I just love those shoes in a Christmas, not a Kansas kind of way. I am all about those White Christmas, velvety red dresses too. You know, the ones with white fir trim, with MUFFS, that swirl and twirl in an oh, so perfect, Hollywood scene. Ah yes, I will package those movies, shoes and decorations away for another year. Tomorrow it is back to the grind....literally. Yay for The StoryPeople customers, who ordered those last minute ornaments before the Jan 3rd deadline. 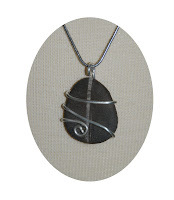 I have a few dozens more of those rare and handmade jewels to complete for all those wonderful folks. Simply Pretty Stuff surrounds us....its a baby girl's curls....its the garden's smallest petal....its lots of pink glitter....its the ocean's most perfect pebble.